With FMLA audits on the rise – How do US employers stay prepared? The US Department of Labor (DOL) has stepped up its Family and Medical Leave Act (FMLA) enforcement efforts as reflected in several settlements of FMLA lawsuits. While the monetary amounts of these settlements may not always devastate an employer’s pocketbook, the ongoing compliance measures and bad publicity certainly do. Sometimes, DOL investigations are triggered by one complaining employee. Other times, the DOL is simply fulfilling its compliance enforcement duties. Either way, employers must have a plan of attack to follow once the DOL comes knocking. What does an FMLA audit look like? The FMLA investigation often starts with a somewhat mysterious phone call or correspondence from a DOL investigator identifying him or herself. What follows, though, is far from certain. Occasionally, the employer is informed why it’s being investigated. Other times, it’s not. The correspondence may arrive on DOL letterhead. Occasionally, it doesn’t. No two investigations look the same. Ultimately, the mode of communication doesn’t matter. What’s important is that the employer is prepared for what is to follow. What can an employer proactively do? 1. Review all FMLA and leave-related policies to ensure compliance. Employers should make sure their policies comply with the FMLA and any state family and medical leave law. To ensure compliance, employers must be aware of all the laws that impact the FMLA or its state equivalent, including any recent court rulings. For example, Nowak reminds employers to make sure the FMLA’s March 2013 changes are incorporated into the policy. In addition, following the Supreme Court’s ruling in United States v. Windsor, employers should make sure their FMLA policy language, such as how a spouse is defined, complies with the FMLA and state law. Employers’ leave and attendance policies should also comply with the Americans with Disabilities Act (ADA). and moonlighting during FMLA leave. 2. Review all FMLA forms and letters. A designation notice (the DOL has an optional form WH-382). It is vital that FMLA forms and correspondence reflect the current state of the law and regulations. Even the model DOL forms fail to include necessary details, such as the GINA (Genetic Information Nondiscrimination Act) safe harbor language. So, it is critical that employers work with their employment counsel to craft effective and legally sound FMLA forms and correspondence. Here is an example of an employer-created certification, including the safe harbor language. 3. Place FMLA poster where it can be seen by applicants and employees. In addition to posting an FMLA policy in an employee handbook, employers must also prominently display the DOL’s 2013 FMLA poster, or an employer-created equivalent, where employees and applicants can see it. If a significant portion of an employer’s workforce speaks a language other than English, the employer must update all postings in that language. The DOL recently published the Spanish version. The FMLA does not define what constitutes a significant portion of the workforce, nor does case law or the DOL provide any guidance on what percentage of the workforce would be significant enough to require the general notice to be provided in various languages. 4. Train Managers and Supervisors on the FMLA. Supervisors and managers at all levels can drastically increase an employer’s liability under the FMLA. Usually an employee will mention the need for time off to a direct supervisor, rather than to the employer representative designated to receive leave requests. Such conversations could still be considered sufficient to put the employer on notice of the employee’s need for leave. Employers should train their representatives to spot issues that could be considered FMLA leave requests. Training them now will reduce the risk of later FMLA liability. Properly maintain complete files for all employees who requested or took FMLA leave in the past three years, including dates of any FMLA leaves and copies of all correspondence, notices, certifications, benefits documents and disputes relating to such leave. Are you maintaining all the data DOL will be looking for? 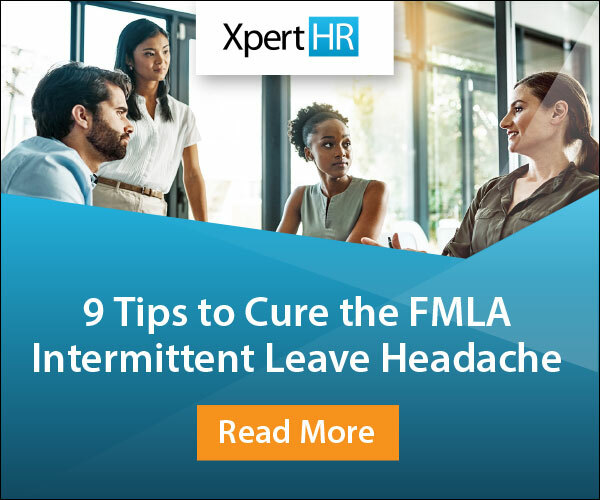 Have you retained FMLA-related documents for the past three years? 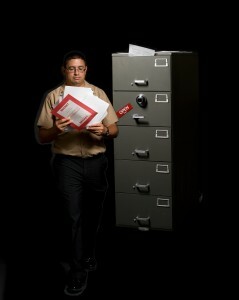 personnel files and accessible only to HR employees on a need-to-know basis? Lastly, employers should maintain constant communication with the DOL, providing clear answers and organized documentation. Without preparation and care, employers run the risk that the DOL will expand an investigation to other company locations, thereby increasing potential exposure.